My group is interested in understanding the molecular pathways and players involved in photoreceptor and ganglion cell development. 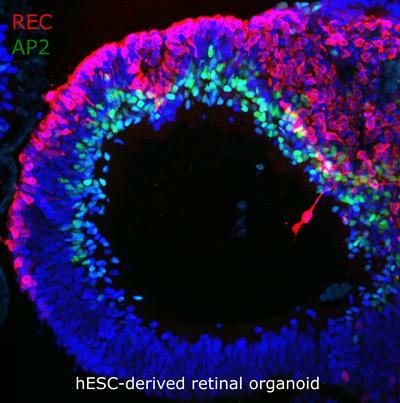 We are taking advantage of a hESC-derived retinal organoid system in conjunction with CRISPR/Cas9 genome editing tools to model retinal development and disease on a cellular level. Our main focus currently is to establish assay platforms for high-throughput analysis to address questions of both basic biology and translational medicine. The insights gained from these studies will be leveraged to improve donor cell production strategies for retinal cell therapy, understand retinal pathophysiology and discovery novel pharmaceutical compounds for the treatment of blinding conditions such as cone dystrophy and glaucoma.